للمسافرين الذين يرغبون أن يعيشو كل ما تقدمه أديليد, فندق أوساكا بلازا بيير هو الخيار الأمثل. يمكن من هنا للضيوف الاستمتاع بسهولة الوصول إلى كل ما تقدمه هذه المدينة النابضة بالحياة. سوف يعشق النزلاء موقع هذا الفندق، فهو قريب من أهم المعالم السياحية في المدينة كمثل The Oyster Bar Holdfast Shores, بيت الشاطىء, جلينلج تاون هال . ببساطة كل الخدمات وأساليب الضيافة التي تشتهر بها Oaks Hotels & Resorts تجعلك تشعر وكأنك في بيتك. تتضمن الميزات الرئيسية في هذا الفندق: مكتب الاستقبال على مدار الساعة, تخزين الأمتعة, صف السيارات, غرفة عائلية, مطعم. لقد جهزت هذه الإقامة الفندقية بعناية فائقة لتوفر مستوى عالي من الراحة. في بعض الغرف يجد النزيل غرفة معيشة منفصلة, تلفزيون بشاشة مسطحة, اتصال لاسلكي بالإنترنت, غرف لغير المدخنين, مكيف هواء. يمكنك طلب اللائحة الكاملة للخدمات في الفندق ومن بينها مركز للياقة البدنية, حمام سباحة داخلي, سبا, غرفة بخار. إن فندق أوساكا بلازا بيير هو خيارك لخدمة الفنادق الراقية في أديليد. 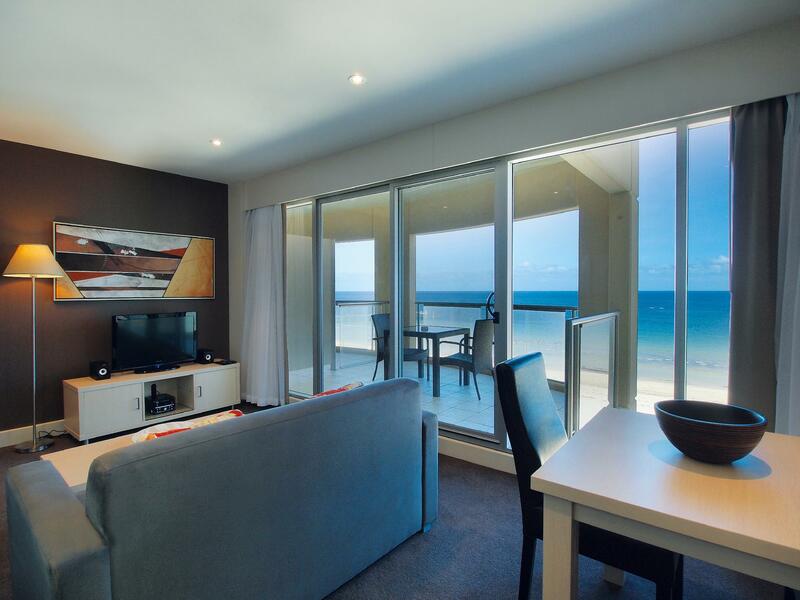 This accommodation located right on the beach, offers comfort while staying in Glenelg and easy access to visiting Adelaide. Nice to wake up and walk on the beach! Local eateries are numberous and will satisfy most tastes. For families there are kids parks and amusements located close to this hotel. Close to the airport, one bedroom has kitchenette and laundry, made it great for washing our travel clothes. DVD player and bath tub. stayed 3 nights, tail end of holiday. close to trams and shops. Ask for a higher room to get away from beach/bar noise. view was great. gym has no weights. Staff not overly friendly. We are from the country and we had a great time away, relaxing and great location with great facilities. Would love to come back in summer. The staff were friendly and the room was clean with a great view. Great and nice experience.Staff are nice but and the parking price overnight is reasonable. The seaview room is clean, nice and tidy. However, the kitchen doesn't have bowls so when we cook food by ourselves, we couldn't find a proper place to put the food. Only plates are available. I was in Adelaide for business, I had a dinner to attend in the area of the hotel. There are a number of great looking restaurants in the area, the hotel has one there however I can't comment on this as I didn't eat there. The room I can't fault, good value for money, $20 to park your car under the hotel. The bar in the hotel got very busy with the locals and had some live music. I really like the area if I stay in Adelaide over a weekend I will stay here again. I booked one bed room , Ocean view apartment through agoda website however actual apartment views were very different to what was advertised on the website. One bed room ocean view room has a very small view of the ocean and bay it is more positioned to the park, not worth the money you pay at all. High expectation was crated through advertising (Ocean view) but failed to deliver what was advertised which now created disappointing customer experience. 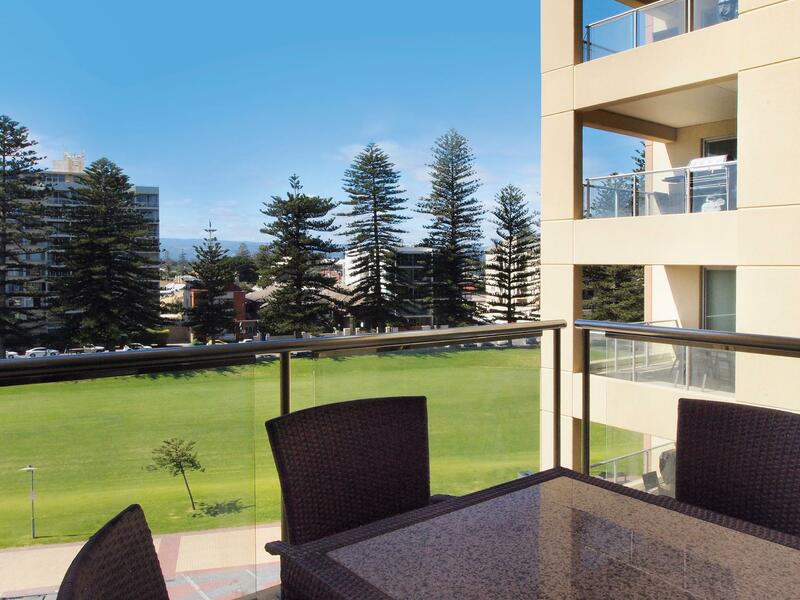 If you saying that ocean view apartment you need to make sure that apartment is facing in the ocean side, I suggest this group to review their advertising materials , so that you will not create high customer expectation, in the first place. specially if you can not deliver what you are promising to your customers. Paid over $450 for one night, I’ve stayed in rooms for $120 that were nicer and better equip. Pictures at time of booking included a kitchenette, the staff said “you should have known that it wouldn’t have a kitchenette”. I’m a good location but not worth near $500 for one night! Very minimal room. Perfect location, only hassle was had a few issues with the key card, which they fixed quickly.Great selection of eating places within the hotel, perfect on that 48 deg day. Top spot to go. Very clean nicely decorated with spacious rooms and apartments. Would come here again for sure. Highly recommended. Unrelated to this great hotel. Unfortunately there was a sewage smell along the beach area!! A council issue in need of fixing. The only thing which is bad is the internet. You only get 30 min./day and then each other 30 min. cost 5$ + the speed is very slow. Took me about 1,5 hours to download a mail will 25mb. This is not acceptable anymore in the 21st century. 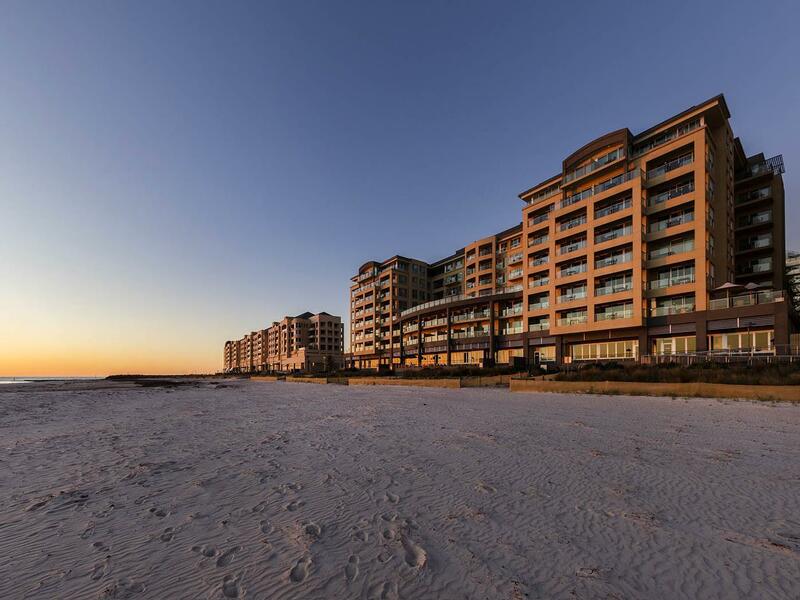 Located on Glenelg Beach, Oaks Pier Plaza offers apartment style rooms, for families, couples and the business person. It's walking distance to the vibrant Jetty Road and Moseley Square, and is only a short tram ride from the city. Rooms are spacious, dark, and quiet. Bed very comfortable. Hotel backs on to the beach, is away from the noisy main shopping strip but only a few minutes' walk, close to tram stop and plenty of restaurants. I'd definitely stay again. Good hotel in a wonderful position. We had a fifth floor room overlooking the beach. A beautiful outlook. My only complaint was the rowing machine in the gym was in poor shape and desperately needed a service. Otherwise the hotel was very good and the position could not be better. Everything was perfect except the check in experience. The receptionist during checking in did not speak to us. Simply grunted words like "Credit Card", "Sign here". Did not explain $150 is a deposit that we'll get back, or what check out times are, or where we can eat breakfast or even what our room number was. We did not even get a hello. We booked the room quite late and when we arrived there were no 1 bedroom apartment left and so they upgraded us to a 2 bedroom apartment. Everything was great, except that we lived right on top of the bar in the hotel. They play loud music until 2am.